you left the office, that isn’t the case anymore. Today, however we can work from where we are – whether it’s at home, bus, train or the beach. This blurred line between work and personal life can affect employees negatively. And slowly we move into a 6 screen world with smart watches that vibrate every time we receive new email or a text message. While it is much easier, there are other benefits too. There have been numerous studies that show that employees who work from home not only have reduced levels of stress but also show increased productivity and efficiency. Working from home can help employees in eating healthy and allow them to spend time with their family – which directly translates to a healthier and a stress-free employee. When an employee is asked why they like working from home, the most popular answer is the flexible work environment. For employees that live far from work, removing the commute from the equation can make a world of a difference. Perhaps the employee is already burned out before they hit the desk in the morning; traffic too can be a contributor to stress. According to a 2011 study by Staples, it was found that employees who work from home experienced 25% less stress while reporting better work-life balance. Yes, that’s right. 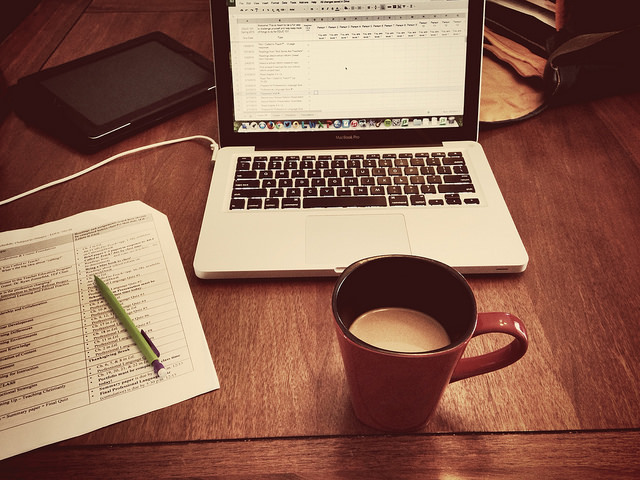 Employers can benefit from employees working from home as well. Happy and stress free are likely to stay with the company longer, thereby reducing turnover and other related costs. Additionally, reduction in health insurance costs because the workforce is healthier and less prone to need assistance with their issues. Additionally, this opens up the employer to a larger pool of talent, the employee doesn’t have to be in the same proximity as the office but could be anywhere with the access of a phone and a laptop computer. This doesn’t relate to just the timings of work but the work environment, the employee can set up a framework in which they are most productive – lights, furniture and it is all personalized. Not everyone is the same, some of us need some music to work and some need total silence. This allows them to create their own sweet haven where they are at their best. However, we must remember – everyone is different and to some, working from home might not be the best thing while it just might be the best thing that happened to them for others. Working from home is a strategic decision that the management must make. With technology advancing every day, soon virtual offices will be everywhere, in fact, the tech industry is one of the early adopters of this of course.